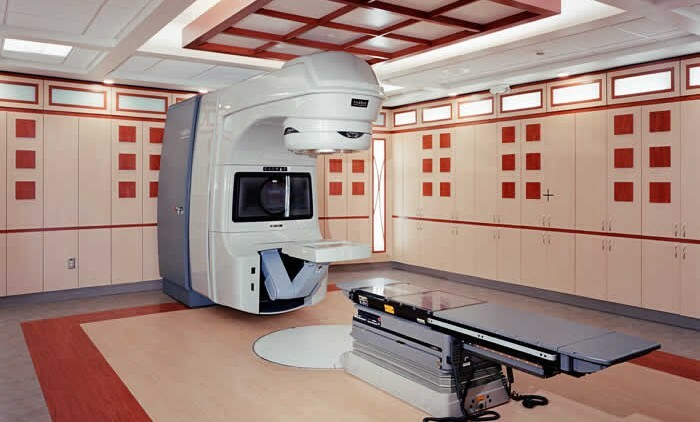 The Linear Accelerator Addition provided the hospital with a new state-of-the-art Linear Accelerator treatment room, control area, locker room and conference room. 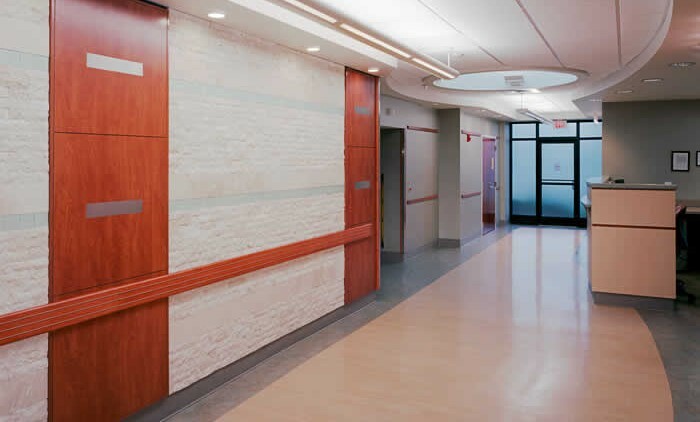 Finishes were designed around natural wood tones and stone. 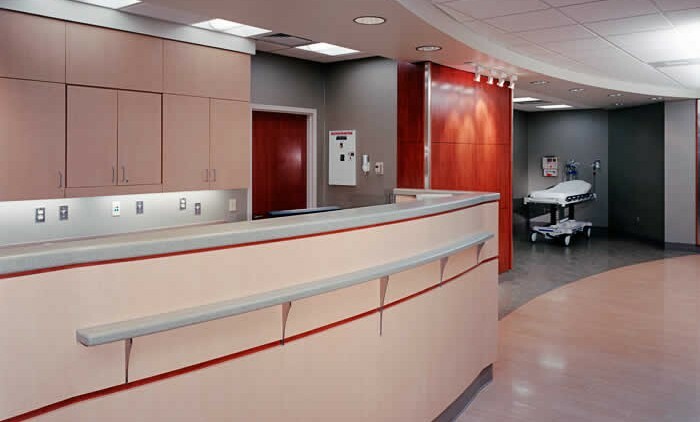 A skylight was designed into the treatment corridor to bring in natural light to the control desk area.